The barrio bravo, or “tough neighborhood,” of Santa María la Ribera is a place in transition. It is located far enough west of Greater Tepito, and close enough to prosperous Reforma, to be in the “safety zone,” but it also abuts Buenavista Train Station, which connects Mexico City’s Distrito Federal with a dozen cities and towns in adjacent, sprawling Estado de México. Santa María la Ribera is most famous as being the new, permanent home of the Kiosco Morisco, or Moorish Kiosk. 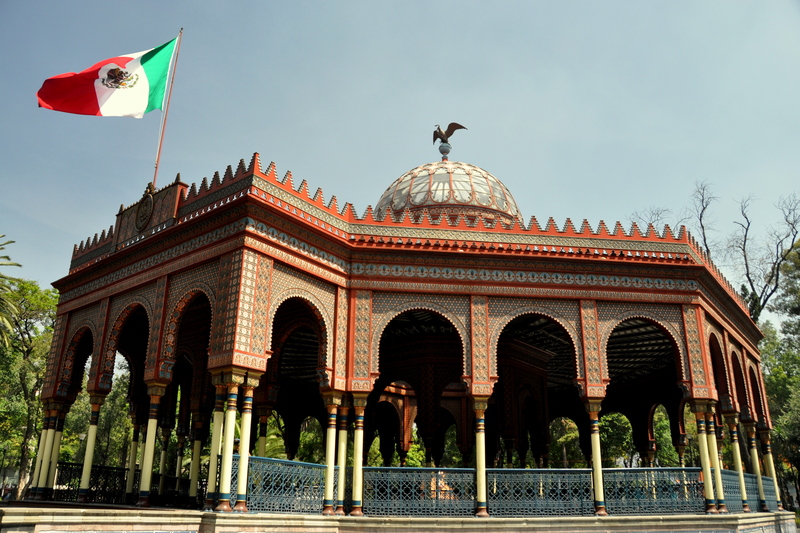 The reddish kiosk/pavilion was originally built by Mexican engineer José Ramón Ibarrola for the 1884 World’s Fair in New Orleans. Post-exposition, it was moved to the Alameda Central (Central Park of Poplars) on the western fringe of the Centro Histórico. The kiosk was eventually relocated to Santa María’s own Alameda de Santa María during the presidency of Porfirio Díaz, who ordered the building of a monument to Benito Juárez in its place at the Alameda Central. Residents of Santa María beamed with civic pride, and volunteered to look after the kiosk. At that time, their neighborhood was one of Mexico City’s wealthiest. The next Barrio Bravo that I have decided to revisit digitally is south/southwest of the Centro Histórico. 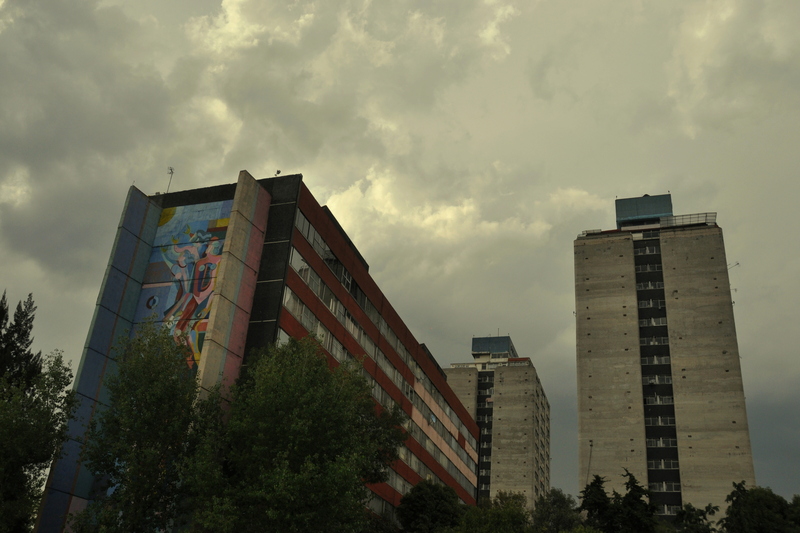 Although the “tough neighborhood” in question is neither as sprawling as Iztapalapa, nor as dense as Tepito, nor as jam-packed with history as Tlatelolco, it houses several hundred thousand Chilangos and has just enough points of interest to merit a few paragraphs in this blog series. Doctores is so named because several of its streets are named after various doctors of some renown. Dr. Olvera, for example, was an 18th-century forensic scientist. Roughly speaking, the large colonia stretches runs from Arcos de Belén in the north to Viaducto in the south, and from Avenida Cuauhtémoc in the west to Eje Central in the east. The entirety of Doctores lies within Cuauhtémoc delegación (borough), which also governs the always-bustling Centro Histórico. It has been three months since my first post about Mexico City’s “barrios bravos” (“tough” or “brave” neighborhoods). In that entry, I listed the “rules” that one should follow for a safe visit, and then blogged about my experiences in Tepito, the most notorious barrio bravo in the Mexican capital. During my time as an honorary Chilango, I also had the opportunity to explore – and fall in love with – another much-maligned neighborhood, this one a proper delegación (borough): Iztapalapa. 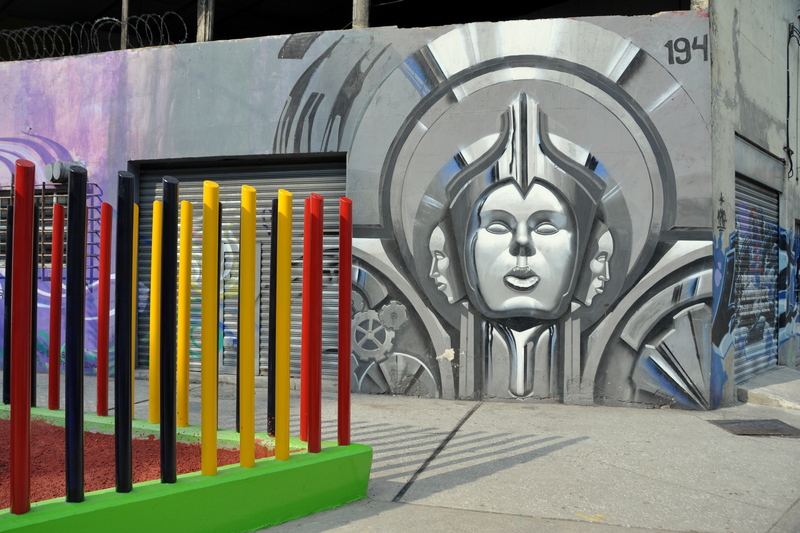 Iztapalapa is more than just a collection of barrios bravos – it is the most-populous borough in Mexico City. It is also the poorest, hence its reputation. My first visit to Iztapalapa occurred when I was assigned English classes in the district. I learned that my students worked for a laboratory in the industrial Canal de San Juan/Periférico Oriente section of Iztapalapa. I was nervous – doubly so, since my arrival would be at the pre-dawn time of 7 a.m. But Google Earth showed me the way, and, after three bus transfers, I arrived without incident. This section of Iztapalapa is on the east side of the city, directly across the road from the Federal Police headquarters. The area is a manufacturing hub for numerous firms, so it’s low on charm but high on security. I felt safe, and by my third week I was walking back from class and stopping off for tacos campechanos at the city’s best street taquería.